January 18, 2017 (Bartlett, NH)- Registration for the 2017 Red Parka Pub Challenge Cup is open. 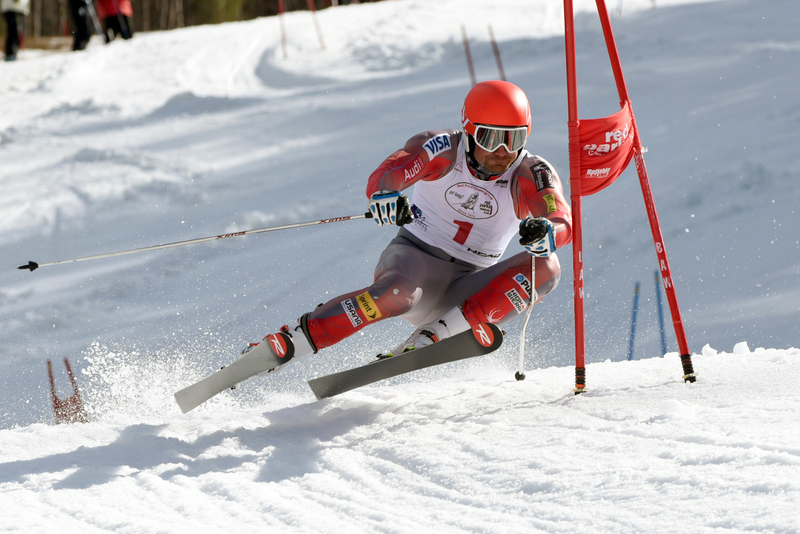 Now in its 44th year, the RPPCC is the longest-running, pro-style dual giant slalom race in the United States–more importantly it is a fundraiser event for the Eastern Slope Ski Club, which supports youth ski development programs in the Mt. Washington Valley. This year’s race is slated for Friday, March 17, at Attitash Mountain Resort. Last year, the committee announced improvements to the race including the unanimous decision to have outright winners in the Men’s and Women’s divisions. The 2016 Ben Drummond and Caitlin Ciccone were declared Red Parka Pub Champions of men’s and women’s divisions, respectively. This year, the big change is from an administrative standpoint. Registration for the 2017 Red Parka Pub Challenge Cup will take place online only, on skireg.com. Racers can search direct on skireg.com for the Red Parka Pub Challenge Cup or visit redparkapub.com for the link. The Red Parka Pub Challenge Cup Race is a 21+ race. The registration fee is $65 and includes a lift ticket, guaranteed two runs on the course, an official race hat, a raffle ticket and a free dinner at the Awards Ceremony served by the Red Parka Pub in Ptarmigan’s Pub after racing concludes. Registration is open online at redparkapub.com or redparkapubchallengecup.com through March 15. If you miss the deadline, race day registration is $75 at check-in. Racers and public supporters are welcome to attend the Bib Draw at the Red Parka Pub on Thursday, March 16. There will be many raffles taking place with all proceeds going to the ESSC program. Last year, the Red Parka Pub Challenge Cup raised $10,000 for ESSC through proceeds from race entries, raffle entries, live auction items and the pub’s Skier Appreciation Night. If your business is interested in becoming a sponsor or donating an auction item, please contact Terry O’Brien at the Red Parka Pub at 603-383-4344. Major sponsors include Attitash Mountain Resort, Budweiser, Crest Auto World, Hurricane Racing, Locust Street Dental Center, Marblehead Graphics, P1 Timing, Pepsi, Settlers Green, SkiChair.com, Southern Wine & Spirits of New England, Sport Thoma, Story Land, and Valley Originals.